What legal options do I have when injured in a hit and run auto accident? 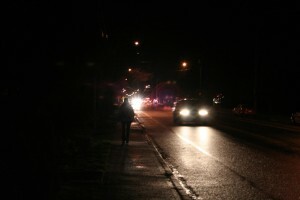 A hit and run accident can also be considered an uninsured motorist case. You’re hit by someone and then they take off; you don’t have their information and you’re not able to identify them. Then you have an uninsured motorist case. In Missouri, you’re required to have uninsured motorist (UM) coverage. The minimum you must have in Missouri is $25,000 on your car, but you have the option to purchase more. However, you can’t legally drive on the roads if you do not have uninsured motorist coverage. The coverage is there to protect you if someone hits you and is not insured, or if someone hits you and takes off and you’re not able to identify them. In the case of happening hit and run, you can file a claim with your own insurance company. You typically file this claim before filing a lawsuit. In doing so, you explain that you can’t identify the other driver and that you were injured, but it was the unknown driver’s fault. You are calling attention to the fact that just because you were hit by a missing driver doesn’t mean that you should be left with the lofty insurance costs and hefty medical bills. In the past, we’ve helped many clients with these both in negotiation and at trial. These cases are generally effective at trial because the defendant is an insurance company. It isn’t John Smith against Kathy Smith. It’s John Smith against the insurance company. If you’ve been in a hit and run accident and are left with injuries, don’t cope with them alone just because you aren’t able to locate the other driver. Contact our personal injury office today and we’ll help you sort it all out.